Strabane bantamweight James Gallagher has been added to the card for the Bellator event in London on 22 June. Gallagher's opponent for the MMA contest at The SSE Arena in Wembley has yet to be announced. 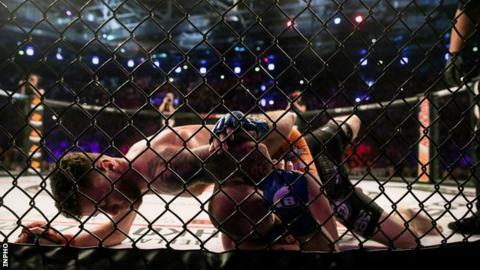 The Tyrone man returned to winning ways by earning a first-round win over Steven Graham at Bellator 217 in Dublin last month. The main event on the bill will see middleweight champion Gegard Mousasi in action against Rafael Lovato Jr.
British fighter Paul Daley has also been added to the London card.